Sunday, Oct 6th- One Day Only! Non-Invasive, Safe, Permanent, Cost Effective & U.S. FDA Approved. The purpose of the training is to certify veterinarians and technicians in the use of Zeuterin™, a solution of zinc gluconate neutralized by arginine used to neuter dogs. To become certified, you must complete three (3) successful Zeuterin™ procedures during the training session. Available for 10 attendees on a first-serve basis. SUNDAY, Oct 6, 2013 11:00 a.m.- 5:00 p.m. Your $99 registration/donation includes: State-of-the art-training (Lecture, wet lab and materials), get five (5) RACE approved CE credits, Five (5) 3 ml. vials of demonstration product for zeutering up to 15 dogs, and food & beverage hospitality. 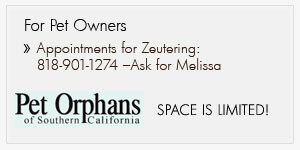 Location Host: Pet Orphans of Southern California - 7720 Gloria Ave. Van Nuys, CA 91406. Free parking with convenient access from the 405 freeway, rail and local airports. Presented by Byron Maas, DVM Master Trainer for Ark Sciences, Inc.
To learn more about this technology and how it works, you can also visit the maker of Zeuterin™, Ark Sciences, to read more. We will Zinc Neuter (Zeuter) your dogs free! 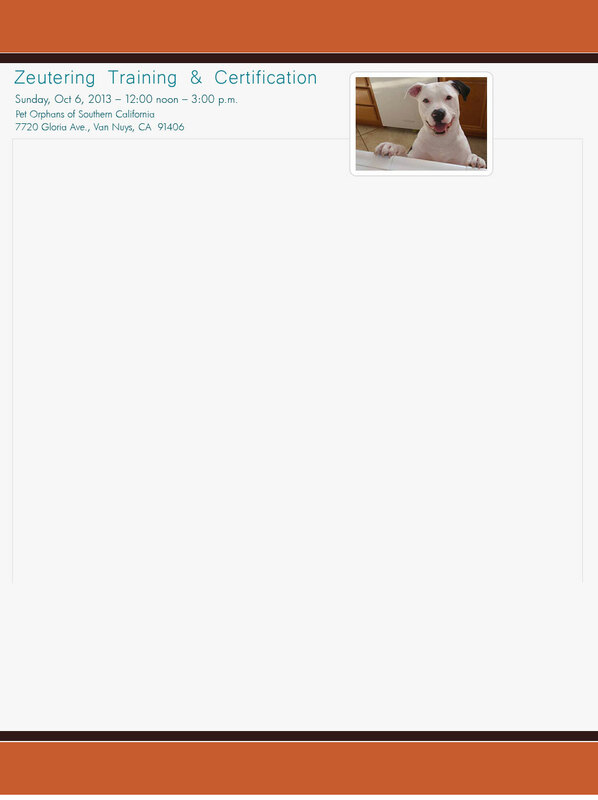 Get your male dogs neutered with this nonsurgical, safe, permanent, U.S. FDA approved procedure. To learn more about this technology and how it works, go to Ark Sciences. Dogs that are older than three months and weigh 45 pounds or less are generally eligible. 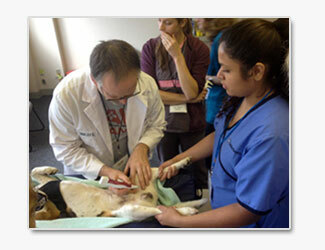 All dogs will be screened to ensure the non-surgical neutering procedure is appropriate for them. 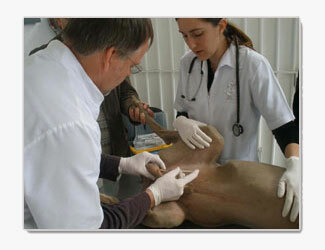 All procedures are performed by licensed veterinary professionals. 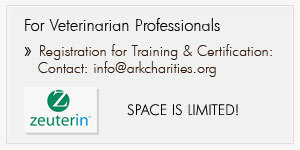 We are interested in nonprofit organizations with on-going needs for neutering dogs as well as individually owned dogs. A $10 donation to Pet Orphans is appreciated. © 2013 - Bend Veterinary Clinic, 360 N.E. Quimby Ave. Bend, Oregon 97701 - 541-382-0741. Webpage designed by Content Solutions - Bend, Oregon.